After graduating from RADA in 1955 Finney joined Birmingham rep, before moving on to the Shakespeare Memorial Theatre – pre-cursor of the RSC – and the Royal Court. He made his film debut as one of Archie Rice’s sons in The Entertainer (1960), and found wider stardom in Saturday Night and Sunday Morning (1960), which also brought him the first of 13 BAFTA nominations, and an award for Best British Newcomer. He consolidated his popularity with Tom Jones (1963), and rang the changes with a variety of projects such as Night Must Fall (1964), Two For The Road (1967) and Charlie Bubbles (1967), the last of which he also directed. His production company, Memorial Enterprises, produced Lindsay Anderson’s iconic if... (1967). Always a highly watchable performer, Finney betrayed a certain restlessness in his diverse choice of roles, personal challenge and the satisfaction of his curiosity coming before more usual career considerations. He took leading roles in the musicals Scrooge (1970) and Annie (1982) and portrayed Hercule Poirot in Murder On The Orient Express (1974). He was back to his best in the stage adaptation The Dresser (1983) alongside Tom Courtenay, reunited with Annie director John Huston for Under The Volcano (1984) and played a Chicago mobster for the Coen Brothers in Miller’s Crossing (1990). Always a leading man with a character actor’s tastes, he starred in The Playboys (1992), The Browning Version (1994) and A Man of No Importance (1994). On television he headlined Dennis Potter’s Karaoke (1996) and Cold Lazarus (1996) and drew widespread acclaim for his performance as Winston Churchill in The Gathering Storm (2002). Other films of this period that benefited from his presence in supporting roles include Erin Brockovich (2000), Ocean’s Twelve (2004), The Bourne Ultimatum (2007) and Skyfall (2012). 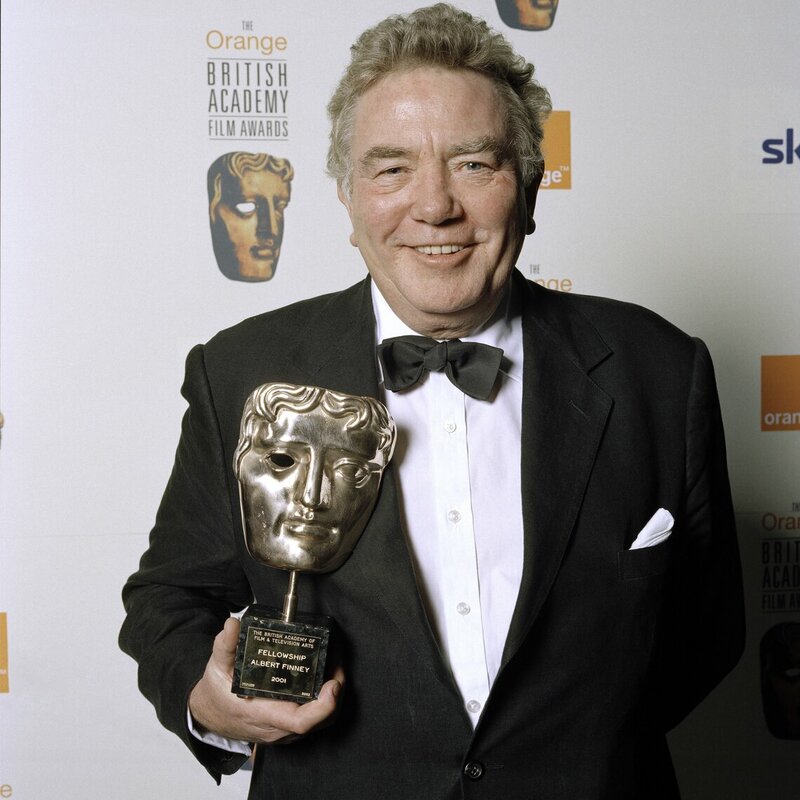 Albert Finney was awarded the BAFTA Fellowship in 2001. Read Albert Finney's Guardian obituary here. Read the BBC's obituary of Albert Finney here.